It all began innocent enough. I wanted to sew a functional Easter Basket. That was all. Here is the one For the Boys. And a Set for Sisters. The Easter projects were completed long ago, but I keep sewing these wonderful baskets! 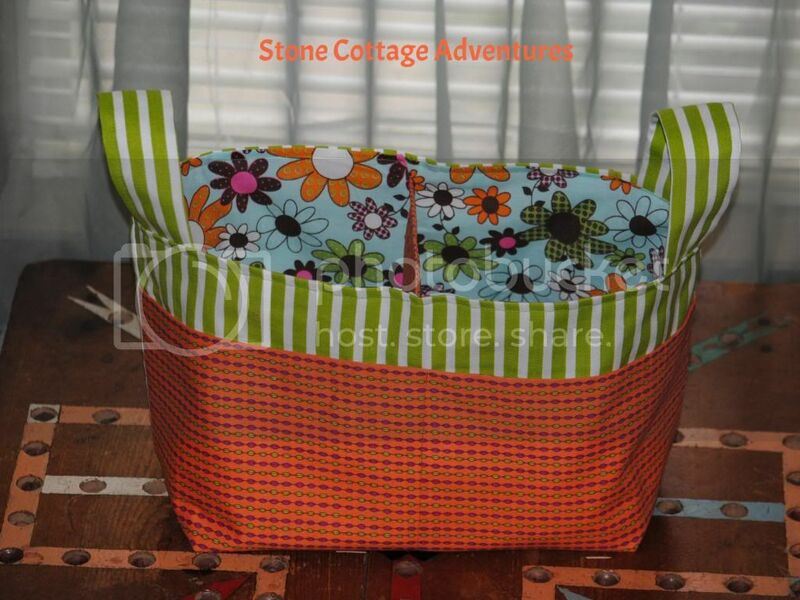 This Divided Basket Pattern from Anna @ Noodlehead is my newest sewing addiction! I love it! these are such cute little baskets. I was just telling The Honey (husband) that I'm having such fun learning how to sew and stretching my imagination and creativity with sewing! These are wonderful! I need to lose my fear of the sewing machine and try to make some goodies for my house. Ahhhhh..I just heard Damien growl from his cabinet in the craft room. I can think of about 10 uses for a divided basket right off the top of my head. 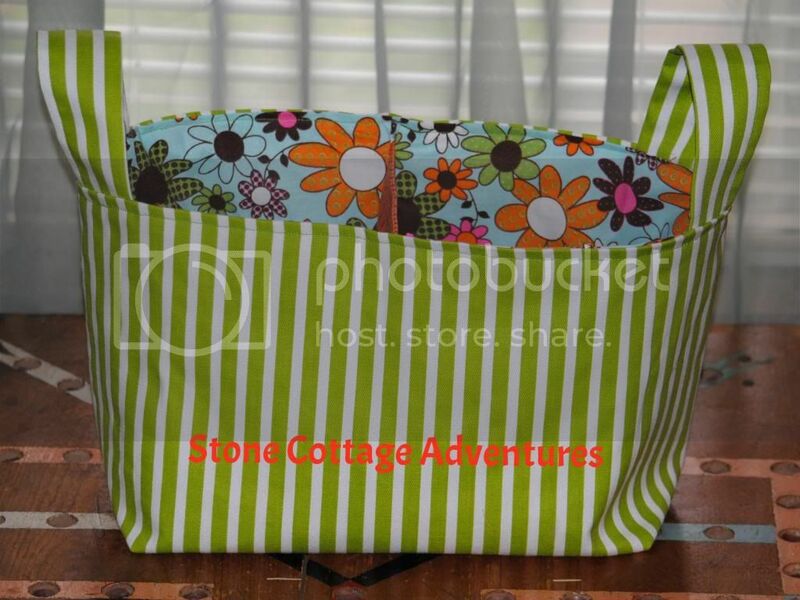 Yours is sure cute with it's brightly colored fabric! I can easily understand how this basket could keep you stitching. Sometimes I find a great pattern and just keep using it over and over. This is a dress that I've sewn over and over. I think I've got four now and another in the cutting out stage! What a handy bag! Very cute. Super cute baskets! Love the fabrics that you used! Very cute. Love the fabric you used. I came over from sunny simple. I wish I could sew-- but just like I cannot draw a straight line, I cannot sew a straight line either, no matter how much practice I put into it!